I know it’s been around for a while, and it’s not really relevant now that Bradley the Elder is no longer at the helm of the National Team. 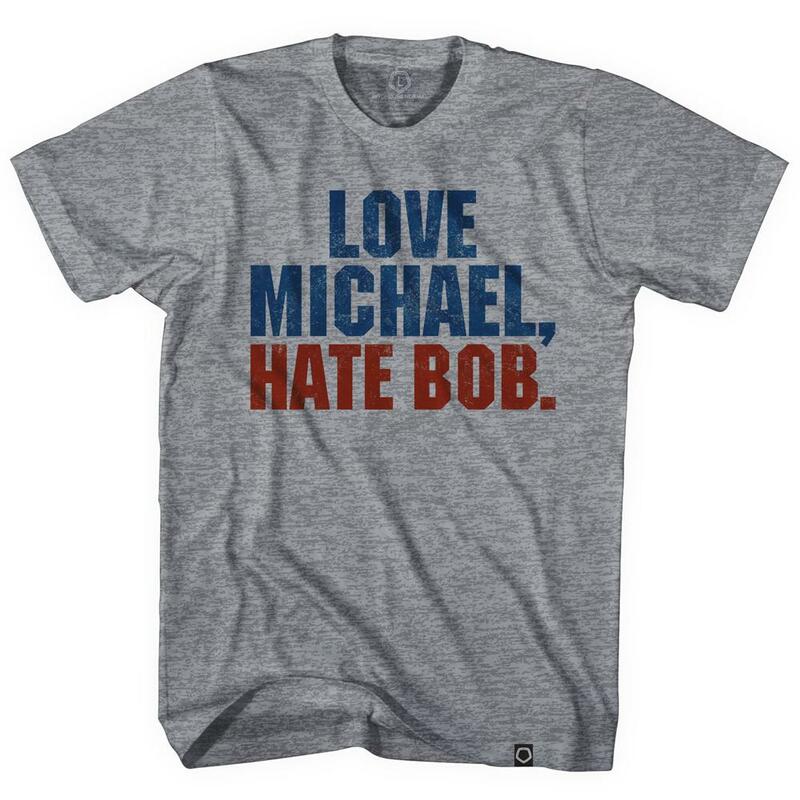 But seeing how I’m beaming with pride over Bradley the Younger’s career progress over the last twelve months, I don’t think it’s so bad to want the “Love Michael, Hate Bob” tee shirt by Objectivo once again. Michael’s much heralded move to Italian almost-giant A.S. Roma got off on the right foot when he scored the opener against Liverpool in a preseason friendly at Fenway Park a week or so ago. Hopefully it’s enough to convince new manager Zdeněk Zeman to give Bradley some significant minutes for the Giallorossi this season. Meanwhile, his dad continues to draw nothing more than a rating of “meh” whenever you ask anyone about his time in charge of Egypt. It leaves a feeling eerily similar to my reaction to his time in charge of the USMNT. So maybe the tee isn’t quite irrelevant yet.